My son taught me a lesson the other day. My oldest son Noah is 10 right now and he gave me a fascinating display of how a child’s brain works. He was doing his daily karate practice and he was being quite lazy and sloppy with his moves. I started to correct but for some reason what actually came out of my mother instead was a compliment about how fantastic his moves looked when we was practicing in class the other day. They were clean and crisp. I told him it was obvious he was working really hard on that day. My son walked over and hugged me and thanked me for what I said to him. When he resumed his practice he was a different child. Low and behold he started working just as hard as he had in class. My mind was blown. I had intended to tell him everything he was doing wrong. I meant to let him know I was frustrated by his carelessness. My plan was turn the moment into a character lesson about (ALWAYS trying our hardest). I don’t have any idea why those words didn’t pour from my mouth. What came out was not what was running through my brain however it was far better and highly effective. Somehow in that moment I was lead to build my son up instead of ripping him apart. It was a moment of love between us. Lord I pray you intervene like this every time in the future with all of my children. THIS is the kind of mom I want to be. Right now, as I write this, I’m sitting near the edge of a blue and red mat inside a Karate Dojo. A nice breeze is washing over my face as about two dozen students rush by me. They are running their warm up laps. If you look closely you’ll notice a mighty little spirit among this class of mostly 8-12 year olds. It’s my little guy Ezra. On this day he is still just all of five years old. He is quite literally running with the big boys. The students are whizzing by, each taking one step for every two or maybe even three of my little guy’s. Ezra has to work far harder than anyone else in here to keep up. He doesn’t mind. It doesn’t even phase him. He runs with a broad smile on his face. Over the last year or two he has become rather popular not only here but in our other activities. Everyone knows Ezra will work harder than anyone and will do so with a loving, giving, and happy spirit. Ezra thrives on the challenge. We are blessed to belong to this particular Karate studio. Ezra’s drive, his dedication, and his sincere heart was recognized early on by his Karate instructors. They responded by removing all roadblocks to Ezra’s success. It would have been so easy for them to hold him back if for no other reason than his age and obvious lack of experience. Ezra not only thrives but he soars. His dedication to his sport knows no end and he is rewarded for it. I wish the entire world could be just like that. As an adult I’ve experienced just the opposite at times. Recently I believed I was asked to complete a task that I sincerely believe that I am entirely capable of completing with great success. I welcomed the opportunity knowing it could stretch my abilities and experience. I’m like Ezra in that I adore a challenge and like anyone who knows me well could tell you, I’ll stop at nothing until the project is done to absolute perfection. Especially when I believe it could bring glory to God and reach others for Him. But before I could even begin, before I even had a chance to show what I was capable of or explain how I would tackle the project a roadblock was thrown in my way. I was stopped cold in my tracks. Apparently I misunderstood. There will be a search for someone with more experience. Even though no one has even asked me, or given me the chance to explain just what I am capable of it has been determined that I don’t have what it takes. Ouch! Yep! That hurt! My little boy sees no limits. There is no ceiling to what he might accomplish not only in Karate but in life. I’ve surrounding him with people who pull the best out of him. No roadblocks allowed. Imagine how high we all could soar if only we all encouraged one another. LAZY! Yes! It seems hard to believe but I am LAZY! I guess we all struggle with sins of the flesh. Laziness would be included in a list of those and it is one that absolutely tops my personal list of those that I am guilty of. I’d rather randomly cruise around the internet than do anything that can truly be described as productive. Maybe lay around and watch bubble gum TV? (Yes, I watch Teen Mom on Netflix… it’s like a bad car crash… you just can’t look away). Napping… oh napping sounds heavenly. Yes I have LOTS of games on my phone and my kindle. Those are FUN! All of the things I listed are way more fun than… say… mopping the floor or folding the 1,000th load of laundry. They are even more fun than going over a spelling list with my children…. AGAIN! Or editing my last photo session. SHOCK HORROR! Yes, I’d rather play Kindle games than homeschool my children or edit photos. Imagine my surprise when I was chatting it up with a bunch of Mom’s recently and I referred to myself as being L – A – Z – Y! Specifically we were talking about how’d I rather just BUY all of the books in our Sonlight curriculum than try to hunt them all down through the library interloan program. I’m just too lazy to do that! I need it all laying right there in front of me or it just won’t get done. One Mom, a dear friend who I adore… looked at me and said… “You? Lazy! Come on! You are the last person on this earth I’d call lazy!” Or something to that affect. She was sort of flabbergasted! And so was I by her summary of me. I guess I show the world the face of a super productive person who doesn’t really have much of a lazy bone. So… with this post the mask comes off! How do I deal with my laziness? I work well under pressure. I’m the procrastinator who will wait until the due date and then pull an all nighter to get things done. Wait, that isn’t true. I do not stay up all night ever unless it is for something amazingly cool. I’m wwaaayyy too lazy… and old, for that. But I will spend the day before working my rear until the work, whatever that may be, is done. I often wonder if I’d do a better job at things by working ahead. Nah… pressure works well for me. I just have to remember not to become unglued because of my own laziness and the stress that procrastination can bring. Something else that has worked wonders for me is routine. Routine routine routine. Actually, I taught my children the routine and now THEY don’t let ME get away with ignoring it. Gotta love that! Ok, sometimes maybe not so much. I joined up with some ladies who are just like me. We’ve got a nifty little Facebook group going and we all try and encourage one another to truly get things DONE! We call ourselves the Society of D0-Ers. Isn’t that cute? Without the help and encouragement of the people in my life I fear I’d let the lazy side of me win the battle more often than I do. That, my friends, is not a good thing. So onward and upward! Do you have any tricks for getting yourself to get things done! Share them with me. I need all of the help I can get! To see more posts by the Do-ers click here! If you follow my blog closely you probably noticed that I’ve done all I can to remove any and all animal products from my life. I certainly don’t eat anything that came from an animal and I absolutely prefer any and all other products to be animal free as well. That is why I was excited to have the chance to review a great vegan alternative to emu oil called GREEMU from Devonian. Devonian is a company dedicated to using plants in the beauty world. They have spent years researching plant oils and plant butters and they have created a new product called GREEMU which is very much like Emu Oil. Emu Oil can be very beneficial for your hair and skin but it can only be extracted from the fatty tissue of the bird. And… well, once you’ve eliminated animal products from your life the way I have the thought of that just absolutely rolls your stomach. According to the documentation they included with the bottle the Palm Oil is certified organic and sustainably grown. I know there is a lot of concern in the world about how Palm Oil is collected so I was pleased to see this information provided. GREEMU is available in a 4 oz bottle from Koru Naturals. This product can do all of the wonders that we want our beauty products to do! It can help you reduce lines and wrinkles on your skin and it can be used to on your hair to make it manageable, shiny, and to reduce breakage. I used my GREEMU in two ways… first on my stomach. I wanted to see if it would help the crazy stretchmarks I have after delivering four children. I know a photo would speak a 1,000 words but I’m just not excited about sharing my midsection with the internet.. can we just say this… IT WORKS! My stretchmarks are noticeably lighter after several weeks of applying just a thin layer of the GREEMU once a day or so. The difference is enough that even my husband commented! I also applied it to my waist length hair. I just used my fingers to rub it into my dry hair along the roots and then smoothed it out down the length. I don’t want greasy hair so I used an ever so slight amount. My hair brush helped spread it out too. I applied it about 3 times a week. I can say of the course of the review my hair has certainly gotten softer and silkier. I’m pleased. I’m not one to use many products in my hair so this was sort of a big deal for me to even try. It is a routine I’ll likely keep up! This little 4oz bottle can go a long way. Truly a little dab will do ya’… as they say. It is really quite impressive. Oh and side benefit? My hands have gotten softer too as they have of course been enjoying the GREEMU as I rub it into my hair or midsection. 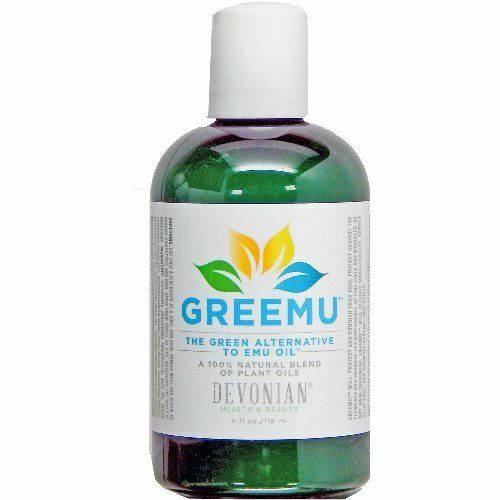 If you are looking for a great natural product to help with skin or hair issues, I would definitely recommend Greemu by Devonian. 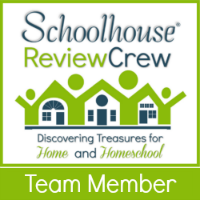 Today I’ve invited a guest poster to the blog… Please welcome welcome back Anna Aamone as she writes for us about cleaning up our crafts! Kids love creating their own art and spending time in crafts. But the problem is that after they finish playing and enjoying themselves, usually there is a complete mess which needs to be cleaned. Here are some smart mom hacks for after-craft cleaning which will save you time and useless efforts. Apply them next time your kids decide to have fun time with arts and crafts. Designate an area in the kids’ room for craft time and protect it from getting messy as much as you can. Cover floors, desks and tables with paper sheets or more durable materials to protect your expensive carpets, rugs, floors and furniture. Let your children play and create art with materials easier for cleaning which don’t create permanent marks. Make sure the paint your children use is washable. Lay a large enough paper sheet under the table or area where you kids will paint and throw it away after they finish work. Rubbing alcohol is perfect for removing stains of permanent marker from your kids’ clothes and wood floors. Another option is using magic eraser for this purpose. Less aggressive cleaning methods are highlighters and hand-sanitizers. To remove washable or other paint from clothes first, soak them in alcohol for two minutes or longer if you have left the paint stains get dry. Then, use a toothbrush to scrub the paint marks till they loosen. In the end, throw the garments in the machine on cold washing. To remove play dough smears from the carpet you need a vacuum cleaner. Don’t apply any cleaning products on it as this will make the smear bleed in the carpet are saying from Islington’s Super Tenancy Cleaners. First, let the stain dry completely which takes about a day and don’t step on it during this time. Use the brush tool of your vacuum cleaner to break the dough smudge into smaller parts. Hoover the residue that is left. If there are any leftovers of the play dough smear, soak a paper towel with liquid soap and carefully scrub the area with it. Sparkles and confetti can be cleaned from the table and floor with a vacuum cleaner. If tiny pieces of them have stuck to containers and other hard surfaces, roll some tape around your fingers and gather them. After fun craft time usually there can be found a lot of glitter in your kid’s play area and room. Cleaning glitter from hard floors, tables and furniture is easy. Use a ball of play dough and roll it through the glitter which will gather the tiny particles. Knead the ball well and roll it to capture as much glitter as possible. The good news is that afterwards you can use the glitter dough ball for you kids to play with. If there are any colored or white paper cutouts, wastes and trash that are left from your kids’ playing area, make them help you gather them. Use plastic shopping bags to gather the trash that is left after craft-time. You can put them in empty plastic containers and help your kids clean the mess. To clean microfiber couches and surfaces take a spray bottle, filled with rubbing alcohol and wet the couch with it. With a white sponge which should be clean scrub the couch and other microfiber surfaces. The dirt and stains will be removed so, use as many clean sponges as necessary. When the couch or item gets dry, fluff it up with a hard bristle brush. Cleaning after creating art and crafting new items is easy if you use the methods for sanitizing, presented here. Your kids can help you with the tidying up and gathering of the wastes from their room. This will make the cleaning work be completed faster and done better. New Year’s Resolutions! Who needs them! You decide you are going to make some change and 2 weeks later you forgot what those changes would be! I’ll be honest and say I don’t think I’ve ever kept a New Year’s resolution. That doesn’t mean I have never been successful at making big changes in my life. Once upon a time, for example, I ate a pretty standard cheesy meaty diet. I successfully gave that all up almost 4 years ago! I guess change happens when I have a good reason to make the change and not necessarily when the calendar or tradition say I should. Still, there are always areas I can approve on and so I’ve decided to take 2016 and my improvements a month at a time. Instead of deciding on big sweeping changes I am going to focus on small goals, or rules for myself. I’m a rule follower by nature so I think this could work for me. Each month I’m going to decide on 2 new rules that I want to follow for next 30 days. Do you get the picture? The possibilities are endless. The choices could be big or they could be small. It doesn’t matter. I like to think my rules will build on themselves. Whatever I choose for January I will continue in February and those rules will continue on into March etc. What are my 2 rules for January? I’m going to start small as I kick this off. Rule 2: Read for myself 30 minutes a day. There you have it! I’ll check back in with you in a couple of weeks to let you know how my small January rules are going? Care to join me? What will your 2 rules be? Today I’ve invited a guest poster to the blog… Please welcome Anna Aamone as she writes for us about cleaning up our kitchens! Half of the little time we spend in our homes is spend in the kitchen – either preparing a meal or eating a meal with your family. And it doesn’t matter if we are preparing a breakfast, a lunch or a dinner, there are certain appliances in our kitchens that we use all the time, couple of times a day. The sad thing though is that we use them every day but we clean them ever once in a while because we do not realise that the dirt and grime can actually decrease some of our appliances’ efficiency. This article will tell you a few tricks for cleaning the appliances you use the most. Your microwave, for example, is probably being used 2-3 times a day. But how often are you cleaning it? There is a trick that helps you clean it without wasting time on it. Get a cup or a bowl of water and add lemon juice or cut up lemons. Put it in the microwave for 3 minutes, when it is done simply get a sponge and wipe the inside of the microwave. It’s fast, it’s easy, it’s simple. It basically cleans itself. Instead of lemons you can use white vinegar, it does the same job are saying from Flat Cleaners SE10. This simple and easy hack can be used to clean a big part of your appliances. Put a bowl with vinegar in your empty dishwasher and let it run its course. This will clean and deodorize it, you can do this once a week, to be sure that your dishwasher is always clean and ready to take care of your dishes. It might be surprising to you, but with the same solution you can clean your coffee maker. Put two parts water and one part white vinegar mix into the water chamber, put a filter on and run the machine. The vinegar will pass through it clean it from the inside, without you having do to anything else. When it is done run only clear water once, or twice if necessary, to remove the smell of vinegar, (why make a special solution yourself, you might ask? Well, your coffee will be running through that same machine, better vinegar than chemical-induced cleaning product). And you are set! Another appliance you probably use every day is your blender. If you do not feel like scrubbing it every day or waiting for it to soak in water and then wash it, here is a tip on how to clean it effortlessly: put a little dish soap in your blender, then add warm water. Turn your blender on, and there you have it – you just cleaned your blender without doing anything at all. Simply rinse it when it is done. And everyone’s cleaning nightmare – oven and stovetops. There is a trick to clean your greasy oven and stovetops. It is another magical home-made cleaning product. Depending on the grime and grease in your oven, mix baking soda and water to form thick paste, if your oven is very greasy and dirty feel free to add white vinegar and/or dish soap. Spread it all over the inside of your oven and let it sit for 10 minutes (or more if you want to), then wipe it off with a sponge, or scrub a little if necessary. For your greasy stovetops, the trick is to get wax – the same one that you use for your car. Spread wax on your greasy stovetops, leave it 5 minutes and wipe it off with a paper towel. This will not only clean them perfectly, but will help you will future cleaning. These hacks will save you both money and time. Vinegar, water, lemons and baking soda are already in your kitchen, no need to spend money on cleaning products. With these home-made cleaning products and tricks, you will not have to scrub like crazy. And what is more, these cleaning solutions are all-natural, so there will be no dangerous chemical residues in the kitchens appliances that your family uses every day. I have a new review for you today that is different than the things I normally review. 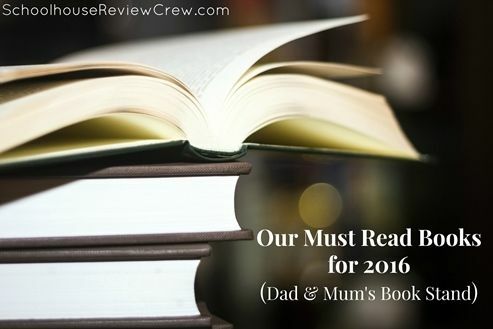 I’m not talking about homeschool curriculum or books this time but something else. Something just for mom. It is a line of skin care from a company called Koru Naturals. I was given a few different Koru Naturals products to review including Skin Clear Cream, Manuka Honey Propolis Soap, Manuka Honey and Manuka Oil Facial Cleanser and Manuka Honey, Tamarind and Manuka Oil Facial Toner. I am a person who has struggled with acne for pretty much my entire life. It was far worse during my teen years but even as an adult breakouts still drive me batty. I’ve tried a variety of products over the years and had some mixed results. Generally though I had just decided it is a part of my life that isn’t ever going to really change. When this review came up I didn’t have high hopes. However The TOS Review Crew got to review other Koru Naturals products earlier this year and the members who were able to review those products RAVED about them. That got my attention so I figured why not give it a shot. I’m glad I did. My new routine involves washing my face every morning and night with the Manuka Honey and Manuka Oil Facial Cleanser Koru says this face wash has a fusion of New Zealand botanicals in it. They also claim to be free of parabens and artificial colors. In other words this is a very natural face wash. I found a little squirt of it provides me with more than enough to wash my entire face. A little goes a long way. Is is soft and creamy and leaves my face feeling the same way. Once I’ve washed my face I apply the Manuka Honey, Tamarind and Manuka Oil Facial Toner. If you’ve never used toner before then you’ll want to know that it comes out clear. It honestly looks just like water. However when you apply it to your skin with a cotton ball your skin will feel very fresh and cool. After washing and applying the toner my skin is left feeling very soft and when I lean into the mirror for a closer look I can see that my pores and everything are very very clean. It is just a good feeling. Finally, after I’ve washed and applied the toner I set to work on applying the Skin Clear Cream. The Skin Clear Cream is designed to improve blemishes and increase moisture and elasticity. It is all natural with Manuka Honey and Burdock root among other things. It comes in wide open mouthed jar. The lid is screwed on and underneath is a plastic protective guard where a little spoon rests. It is best to use the spoon to scoop out the cream so that you don’t contaminate the jar with the oils or what have you on your fingers. As with the soap I found a little bit of this cream will go a very long ways. If I can keep the jar well protected this one jar will last me a very long time. Despite applying it twice a day for more than a month it looks like I’ve hardly touched it. I have to say I do wish this came in a pump bottle. Managing the lid, the plastic guard, and the spoon actually gets a little messy. If I every drop the jar I’ll have a big wasted mess on my hands. This is a small complaint though. The truth of the matter is this cream is wonderful. It feels so good on my face and the results have been fantastic. I began my new skin care routine just as I was leaving on a 10 day vacation to hot, humid, and sunny Florida. I spent 10 days slathering on sunscreen and sweating my rear end off. I was also dealing with the time in my monthly cycle that usually causes me to breakout. I was dealing with the absolutely perfect storm for a couple of weeks of terrible skin. Except that’s not what happened. Washing, applying toner and Skin Clear Cream twice a day left my skin looking fantastic. I didn’t have even one single blemish appear during the entire trip. My skin was clean, clear, and fresh looking. I was amazed! A week in I told my husband I’d never be without this stuff again. The last product I received was the Manuka Honey Propolis Soap. This too has Manuka Honey and Propolis in it. It smells delicious. I kept it in a dish at my bathroom sink for hand washing. Unlike my typical store bought soap I felt as though my hands were left more hydrated. My usual hand cream has had a lot less use and I like that. The Koru Naturals are wonderful! I love the natural ingredients. I love how my skin feels after each use. I love the results. I am now a converted customer. I’m looking forward to trying other Koru products in the future. Why do we give up the things that work? Am I the only one who lets the very things I know I need more than anything fall by the wayside? I must be crazy. I know that in order to have the best day I must rise early before the sun is up. I NEED quiet and peace and time alone before the day starts. I need this like I need fresh air to breath and water to drink. Without it I spend a day playing catch-up, feeling frustrated and even down right angry for reasons I can’t even really describe. Waiting until my children are awake and moving at a million miles an hour is a mistake. Yet it is a mistake I have continually made day after day for months now. A lot in my life has suffered for it. Today I awoke early. Today is a new beginning. A renewal. I’m looking for others who are desperate for this time every day but who also struggle to actually get up and grab it. Is that you? Will you join me in this renewal? I’d love to hear from you.